On my grandparents’ ranch, men worked cattle while women made the garden grow—neither one an easy task in the arid American West. With my whole heart I wanted to do what my grandfather and uncles did: I wanted to be with the animals on open range. But I was a girl. And I was asthmatic. So every spring, when supplemental bales of hay were thrown from the tractor and newborn calves pulled from their straining mothers, it didn’t matter how much I begged to help them. I was instead handed a shovel and told to go turn soil for the planting. I resented this task—not only because I was relegated to it, but also because of the way a garden ordered and contained wild nature. I hated the neat rows, the little signs that documented what was growing where. I hated plucking weeds and I hated when my shovelhead hit an earthworm, splitting it in two. But what I loathed most were the beets. When they were ready, I dug them up and hauled them to the back porch, where I scrubbed dozens. Then dozens more. The dark venous red of them disturbed; the stain they left on my hands and forearms looked like someone had tied off tourniquets at my elbows. If this wasn’t a violation of child labor laws, I didn’t know what was. My grandmother would take the clean ones into the kitchen and pickle them in jars. They were served as a side dish for every Sunday dinner—clear through to the next spring. She did all of this without a smile. Which is how she did most things—including taking us grandkids to church. I began to believe that her puckered mouth had somehow been pickled, too. When I grew up, I vowed I would never again touch, let alone taste, the thing that was—among vegetables, anyway—the root of all evil. Fast forward to young adulthood. I’m a wilderness advocate, seeking permanent protection for my beloved Utah public lands. This is how I end up at Hell’s Backbone Grill in Boulder, Utah—the very last place in the nation to have mail delivered by mule. Here, two intrepid women have changed a poor and remote slice of rural America by way of serving food that is grown, raised, hunted, and gathered at the edge of the Grand Staircase-Escalante National Monument—which was, with other adjoining public lands, the largest contiguous piece of wildlands remaining in the Lower 48. I said was. In 2017, the monument’s size was reduced by presidential proclamation. It’s spring, and I’d been out wandering in the monument’s red rock—sandstone saturated with every shade of red on the spectrum, colors so vivid and viscous they bleed right through your skin, into your veins. This is how the desert works its way into your heart. 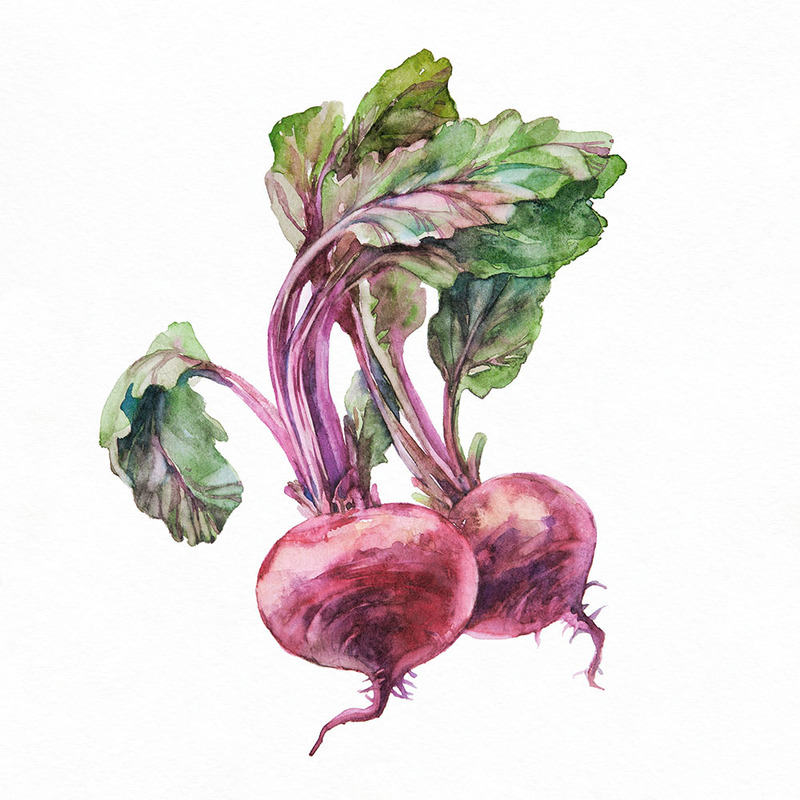 The two women serve me their beet salad, a signature springtime dish at their restaurant. I flinch, but I am ravenous. Besides, they are more convincing with their warm smiles and generous welcome than my tough bird of a grandmother ever was. One bite, and I am a true believer. From This Immeasurable Place: Food and Farming from the Edge of Wilderness, the new cookbook (and a whole lot more) from Hell’s Backbone Grill, Boulder, Utah. Halve the beets and place cut-side down on a lightly oiled baking sheet. Roast them for 40-50 minutes, until knife-tender. When cooled, peel the skins off and cut into 1-inch cubes. Cut the carrots into ¼-inch thick coins and boil in lightly salted water for 10-12 minutes, until knife-tender. Drain and cool. Chill the beets and carrots in the refrigerator, or pop them briefly in the freezer. Whisk the dressing ingredients together and let the sit to combine for a few minutes. If you have the beet greens wash them well, blanch them for 5 minutes in lightly salted water, and set aside. Once cooled, mix the beets and carrots together and dress, stirring until coated. Serve on the beet greens or mixed greens, and top with goat cheese, toasted walnuts and (if you’re us), a sprinkle of calendula petals.